Taiwanese theater pioneer Stan Lai discusses his career and creative philosophy. Standing before an intimate audience at UC Berkeley's Institute of East Asian Studies, Taiwanese playwright Stan Lai waxed metaphorical. "The deepest, most reverberating moment combusts organically, bobbling in a natural wave to interact with all the components at inevitable points in time," he said, shifting his weight slightly onto the lectern. He paused for effect, a hint of genial mischief in his voice. "Often when the magic happens, you don't see it. But it's right in front of your eyes." With over 30 original works to date, Lai is perhaps the foremost representative of modern Chinese-language theater, a renegade with a penchant for anticipating and reshaping contemporary trends. Working to blur the distinction between popular and avant-garde forms of expression, he has earned commercial and critical acclaim in both his native country and the worldwide theater community, writing and directing stage productions that combine Eastern cultural sensibilities with Western experimental approaches. Lai appeared on campus last Tuesday to discuss the creative process behind one of his most acclaimed recent works, the 2008 historical family epic "The Village" ("Baodao Yicun"). Telling the story of three families over three generations of history beginning with the Taiwan diaspora in 1949, the play focuses on the shifting cultural contexts that helped shape the nature of contemporary Taiwanese society. Lai described one of his main inspirations as the rapidly changing face of East Asia. "It's the same story in Taipei, in Hong Kong, in Shanghai, in Beijing. Buildings get torn down," he explained. "As the memory of those buildings go away, the whole city suffers from amnesia." Born on October 25, 1954 in Washington, D.C., Lai moved with his parents to Taiwan in 1966 but later returned to the United States, receiving his Ph.D. in Dramatic Art at UC Berkeley in 1983. He titled his dissertation "Oriental Crosscurrents in Modern Western Theater," in a time when the term "oriental" still registered as acceptable academic terminology. Working beyond the school's then-fledgling theater curriculum, Lai enthusiastically explored new techniques of staging and actor training, particularly focusing on the possibilities of fusing traditional forms of theater with improvisation. 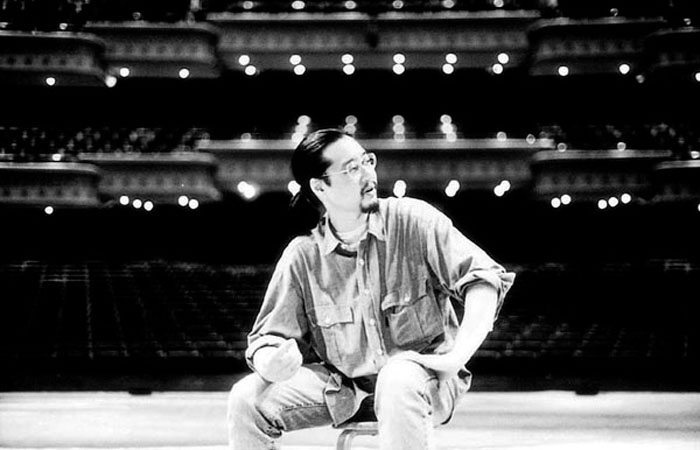 "Improvisation has the possibility to filter out the deeper concerns of the performer," Lai reflected on the technique that has become the defining hallmark of his work. "It bypasses the question of form, while at the same time creating form." Throughout his storied career, Lai has succeeded in breaking new ground in both Chinese and international theater. With 1985's "That Evening, We Performed Xiangsheng," a two-hour play featuring a pair of individuals conversing with each other, he played an essential role in resurrecting the obsolete classical Chinese theatrical genre of crosstalk, or "xiangsheng." In 1986's "Secret Love in Peach Blossom Land," he imbued a fantastical tragedy-comedy set during the 1949 Communist Revolution with acutely Western tropes - namely, the Brechtian unification of stage and life. "As we create new plays, we create new forms," Lai said of his adherence to experimentation. "We invent the grammar because there wasn't any grammar existing before." As the afternoon progressed, Lai navigated the discourse beyond the art of theater and through a wealth of other subjects: East and West, past and present, shifting cultural contexts, urban modernity and its effect on the progression of contemporary life and art. But through it all, he emphasized the beauty of improvisation, invoking the spirit of 20th century music as an analogous medium for similar creative endeavors. "A special moment is created through a chemical reaction that occurs when certain elements emerge at the correct place and time," Lai explained. "Sort of like jazz, you know. When jazz is clicking...and the musicians are passionate and compassionate at the same time, then you have magic happening." He paused again and smiled, allowing his listeners to partake in the magic of a shared moment.